We have seen 3 cases of canine parvovirus (CPV) in the past few weeks. Parvovirus is one of the most common causes of infectious diarrhea in puppies and young dogs. It is a highly contagious and often fatal disease. Certain breeds are more susceptible, as are dogs with other concurrent issues (parasites or other intestinal disease-causing bacteria). 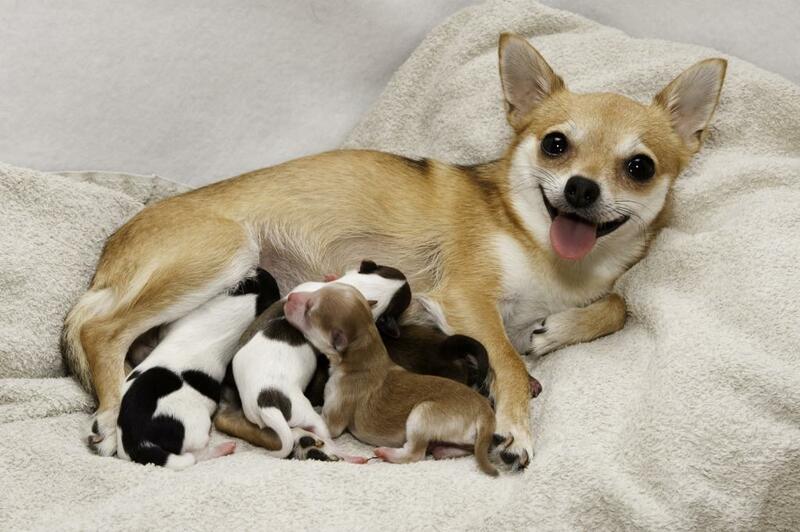 Chihuahua mom with her puppies. Until the full series of vaccine is complete, it is recommended to keep pups away from dog parks or socializing with unvaccinated dogs. For more information, here is a link to the American Kennel Club page on this topic, although there are several other sites where comprehensive information can be found.